Early childhood experiences provide a foundation for a lifetime. Early Jewish childhood education supports and enhances Jewish living in our homes and in our community. CBI Preschool and Kindergarten supports children through a developmental, constructivist approach which recognizes and addresses individual growth and needs of students and creates opportunities for children to grow at their own pace. For the past several years, our school has been inspired by the educational philosophy of the preschools of Reggio Emilia, Italy. 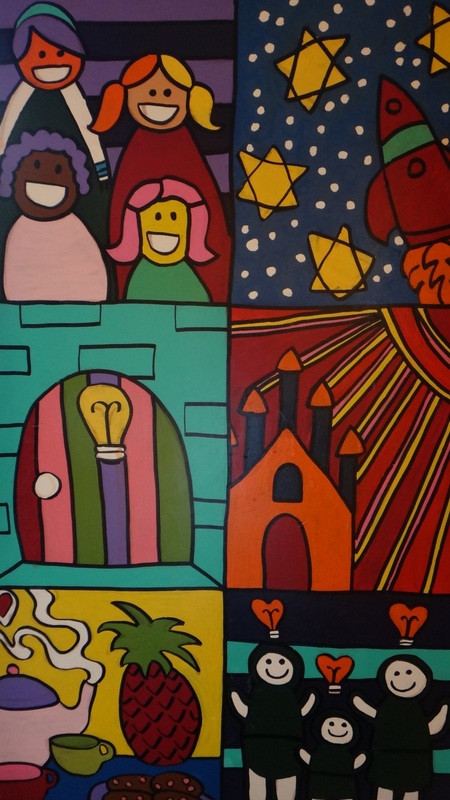 Based on the belief that children are active learners and born with unique abilities and modalities of expression, we have come to realize the similarities between the values of Reggio Emilia and of Judaism. The Jewish image of the child tells us that children begin to experience the world from birth. We have a commitment to our children as a Jewish community. Our program uses the Project Based Approach building on the interests of the children. This emergent curriculum evolves from observation of the children’s conversations, interests, and play. Teachers and students collaborate to research these ideas. Children are encouraged to ask questions, seek answers, find experts, and draw conclusions. Through the Project Based Approach children develop curiosity, creativity, both written and verbal communication, listening, negotiation, observation, and critical thinking skills. Teachers document children’s progress, validating the children’s work and enabling on-going assessment. The children’s thoughts and ideas are documented through photography, video, displays and writing, as the teachers strive to support each child’s development to the fullest extent. We both nurture and challenge the whole child as he or she develops academically, emotionally, socially, cognitively, physically and spiritually.